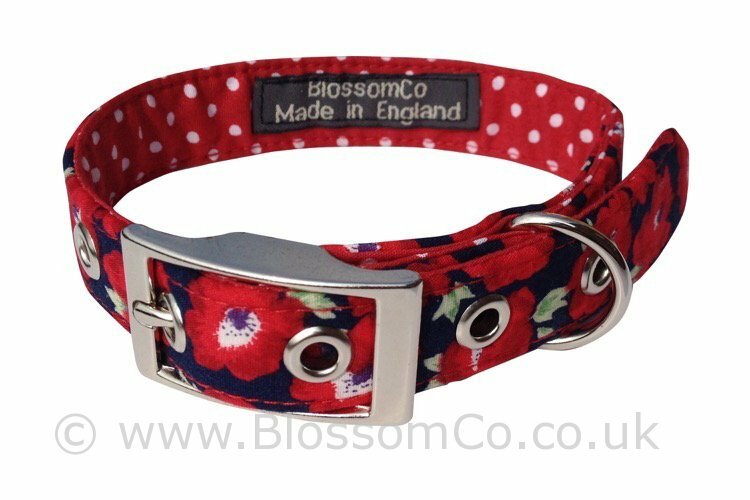 The Elizabeth design is a stunning bright red floral collar with matching red polka-dot lining. Guaranteed to catch attention! 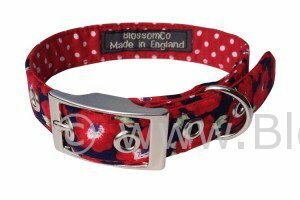 Also looks fabulous with its matching lead!